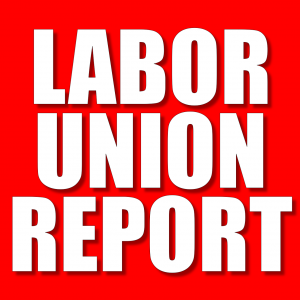 LaborUnionReport.com (LUR) is a free website for readers who are looking for more than mere pro-union propoganda. While the vast majority of the content on this site comes directly from the news, or other union-related sites, the opinions expressed are solely those of the editor and the guest writers. Straight union-related news links can be found on the LUR Daily Report. As LUR’s Editor-In-Chief, and as a former union agent, the sole mission of LUR is to provide news and information in a thought-provoking way, to shed the light on today’s corrupt union leaders and, as necessary, those politicians (on the Left and the Right) who value cronyism more than the U.S. Constitution—of which there are many. LUR is not sponsored, funded, or otherwise paid for by any business, grouping of businesses or trade association (not even the Koch Brothers).